Why not buy someone something special and purchase a Gordon Rigg Gift Voucher, a great present for all occasions. They can be bought online or in-store and can be spent at our Walsden Garden Centre, Rochdale Garden Centre and The Bottoms Mill Shop. They can also be used in our Mill Shop Cafe, Walsden and Gordon's Bistro, Rochdale. National Garden Centre Vouchers are accepted as payment and available to purchase at either of our stores. Gordon Rigg Gift Vouchers have no expiry date. 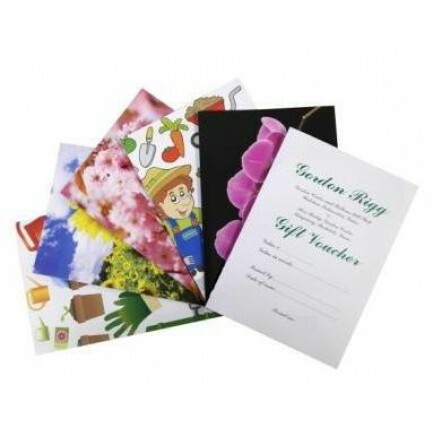 You can buy any value of Gift Voucher when you buy instore. Gordon Rigg Gift Vouchers must be posted to cardholders address.